In the light of recent announcements of healthy finances and increased spending from the University of London, our branch secretary Catherine Morrissey has written again to senior management pressing them to reolve the issue of the non-payment of London Weighting to maintenance and maintenance support staff. Her letter follows below, but please do get in touch at catherinemorrissey@iwgb.org.uk if you have any questions. Further to our correspondence below, I am writing again with regard to the ongoing issue of Cofely’s maintenance and maintenance support staff, who are still to receive either their London Weighting allowance or any information regarding it. We would like this to be put in the context of the University’s recent intranet announcement that ‘the overall finances of the University are in a strong position and we anticipate achieving our target of a 5% operating surplus on turnover by 2019’. 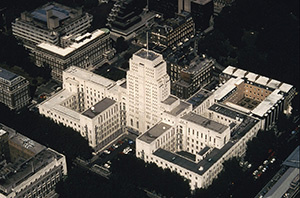 We are also aware that Senate House Library has recently put in a request for £0.5m of additional Central University Funding, and there is of course the ongoing massive expense of Programme Beveridge. In other words it is clear that money is available, and is being spent on both staff and infrastructure. In this context, it is indefensible that workers in the situation described below are still treated like second class citizens, with no London Weighting provision being made despite the central role they will be required to play in maintaining and upgrading the University’s estate. The University, and all who work and study in it, can only benefit from a properly rewarded and motivated maintenance and maintenance support team. To consult meaningfully with its staff over London Weighting and other issues of concern to them. If you could also clarify for us the University’s position re its maintenance spend – that is, whether it accepts that one of the investments it is currently making should be in higher staff costs for maintenance workers – that would be much appreciated.